As I mingle with the 140 or so goats I feel, not for the first time, like a trespasser. I have entered a whole new world of peace, tranquility and the home of these adorable caprine creatures! But of course I know deep down that my presence is welcomed by the hundreds of residents here! Buttercups Goat Sanctuary provides a loving and caring environment for abused, neglected and abandoned goats. It is a safe and loving home for the rest of their lives. So why do I like it here so much? 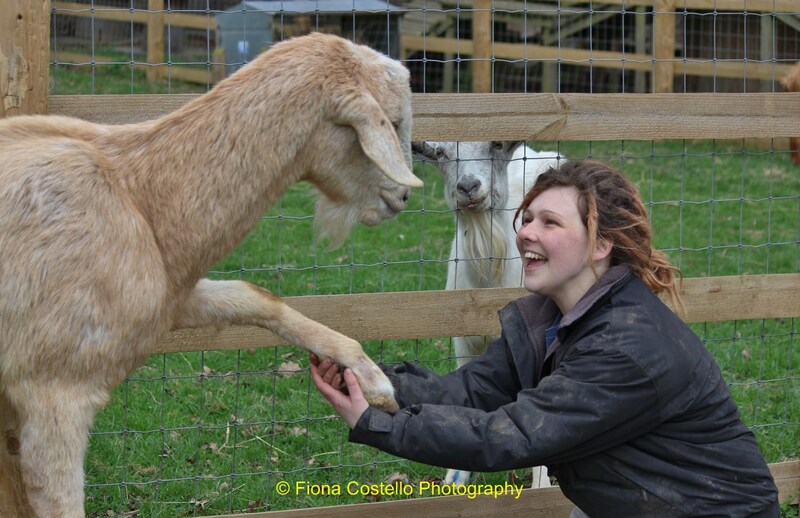 There is a feeling of contentment, not just from the goats but also from the staff, volunteers and visitors! Similar to other pets, goats tend to cheer us up when we’re feeling down and draw us out when we feel withdrawn. As a photographer, I spend a lot of time observing and studying animal behaviour and the interaction between animals and humans. On my recent visit here I noticed a special bond between Nip, one of the large goats, and a volunteer, Kirsty, who I later learned was Nip’s guardian. I captured some lovely images of the two of them and these can be seen in my ‘People’ gallery.